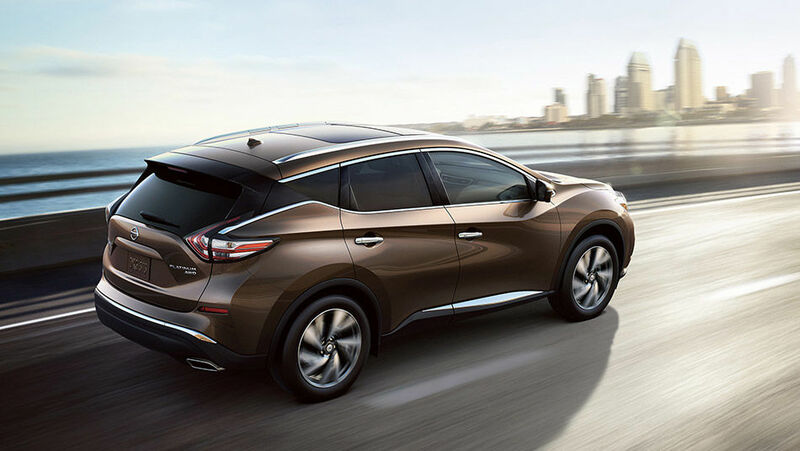 When it comes to finding a stylish and comfortable midsize SUV, the 2016 Nissan Murano is at the top of the list. Completely redesigned this year, the 2016 Nissan Murano packs a visual punch on the outside and a host of refinements inside. Starting at $29,998, the 2016 Nissan Murano is powered by a 3.5-liter V6 engine that delivers 260 horsepower and 240 lb-ft of torque. On the road, the 2016 Murano is one of the most comfortable vehicles in its class, but it always has plenty of power to pass or get out of a sticky situation. A continuously variable automatic Xtronic CVT transmission is standard as is front-wheel drive. All-wheel drive is available, of course. The comfort inside the cabin is impressive, as is the quietness of the cockpit. ZERO GRAVITY seats both in front and in the back ensure that you never feel tired when driving the 2016 Murano. A ton of standard equipment and four version in total offer everything you could ever need in terms of technology and safety features. The base S model comes standard with push-button start, dual-zone climate control, heated front seats, a back-up camera, Bluetooth, cruise control, SiriusXM radio and the NissanConnect app while other models add heated rear seats and cooled front sites, a heated steering wheel, navigation, leather seats, a 360-degree camera a lot more. 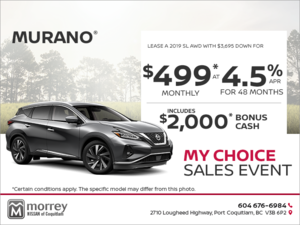 Come check out the 2016 Nissan Murano today at Morrey Nissan of Burnaby!